Dancing to Latino music requires percussion instruments because the beat of the music is all important. It controls the speed at which the steps are performed. Many types of Latino music, such as Cuban, are very fast. They range between 100 and 140 beats per minute. It takes plenty of skill to be able to keep the beat going precisely for this type of music. That is why a variety of instruments are necessary. Latino culture is very diverse and has many very different types of dance music. One of the easiest forms to learn is Cuban Salsa music. This requires a percussion instrumentalist to keep the band and dancers on time at about 100 beats per minute. Claves are used for the overall beat, but they are joined by a host of percussion instruments. Each one has a distinct sound such as the Cencerro or Cow Bell. This provides two different musical notes depending upon where it is struck. The Timbales are a set of two drums struck with a stick. They add to the rhythmic portion of Cuban music. The drum on the left is larger at 14” and produces a slight deeper pitched sound. The one on the right is only 13” across and provides a different tone that is higher in pitch. Played throughout the music, they provide an accentuating beat for dancers. 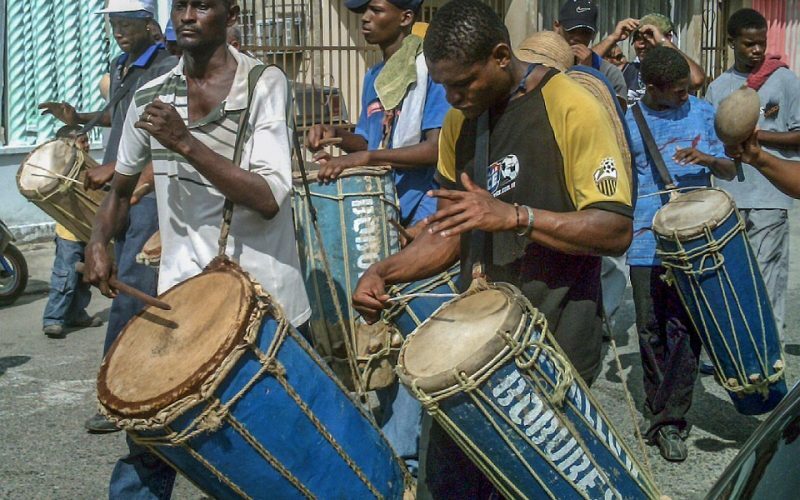 Bongos and conga drums are also used to measure time in Cuban music and give dancers yet more rhythmic support. Bongos are drums made of wooden shells with skin stretched across the top. They are struck with the hand. 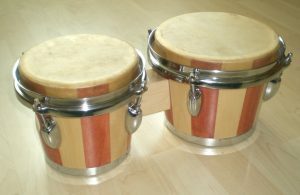 The conga drum is also made with a wooden shell and skin top. The wooden section is longer to give it a distinct sound of its own. 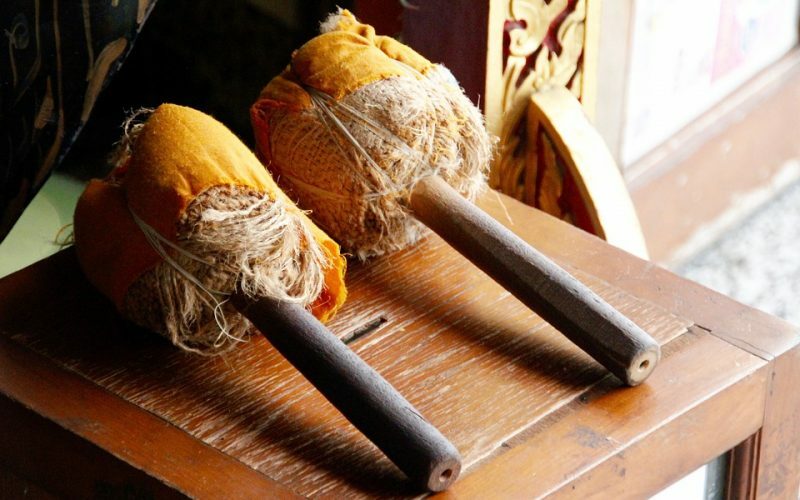 It is played by hand, and its beat is one more facet of this highly rhythmic musical dance style.